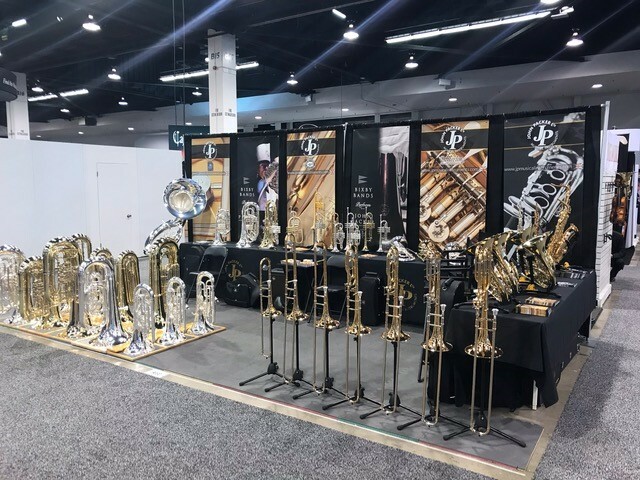 January's highlight has to be NAMM in Anaheim California, where the full range of JP Musical Instruments will be on display - including our products of 2018: the JP2057 Sousaphone and the JP333 Rath Bass Trombone. The John Packer JP251SW will be getting pride of place as we also celebrate its 10 year annivesary! The NAMM Show takes place at the Anaheim Convention Center, in Anaheim, California from January 24 - 27, 2019. It is an annual event in the John Packer Musical Instrument's diary; a great place to meet with present dealers of JP Musical Instruments and meet prospective new ones! Are you interested in finding out more about John Packer Musical Instruments and becoming a JP distributor? Visit Booth 9333 where Rob and Matt will be on hand to deal with all your enquiries. You can also email Rob directly to book a meeting.